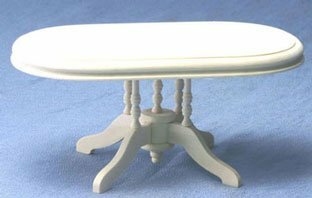 In creating your own doll house furniture pieces, even though a piece looks a little complex become undaunted, press on. You will be rewarded in the end with an excellent miniature piece or a priceless experience. Press on in your efforts and receive your prize. Most definitely, yes, all processes you go through have, if anything at all, a learning end to them. Meaning as you build you will learn in the process. Regarding featured Pictures: Clicking on any picture will take you to an example of that product. All will open in a new tab. Working knowledge that will in turn lead you straight to your successes. In today's and yesterday's books there are a wealth of info and knowledge available to help crafters / artisans in producing excellent mini items. 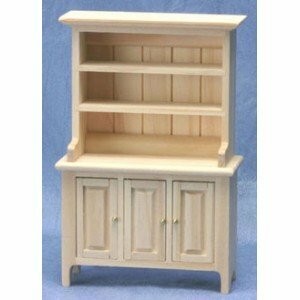 As much care and consideration should go into finishing your doll house furniture pieces as into the actual making of the items. A poor finish will degrade what you have produced. In constructing your mini household items, safety should be one of your top concerns. Always pay close attention to blades and the handling of them. Plus observe all precautions when working with power tools. Also wear a good dust mask around any item that off-gases such as adhesives or even woodworking dust. Without these three key elements the most expensive tools in the world will not help you succeed. In scaling down real life furnishings to get a pattern simply measure in inches and divide the total by 12. Or use this handy scale calculator found here for conversion. 1:12 scale seems to be one of the standard measures in the creation of Dolls' Houses these days. Wholesale - In most cases this category is reserved for retailers or someone who is making a sizable purchase. With some mini mansions, their furnishings and the prices per interior item some collectors may want to check this avenue out. Do your price comparison from both sides, from the retail end and then the wholesale. 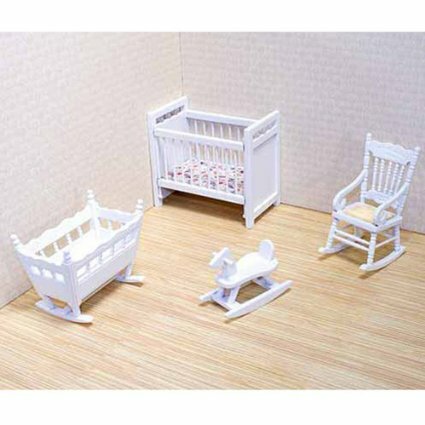 While pricing the wholesale version, work in all doll house furniture needed plus anything else you may want just to see how close you come or surpass each wholesalers limit. It may surprise you just what savings you can obtain this way. However, that will mean you will have to purchase everything all at once too. Barbie - There are a great deal of variety in this category online. However everything seems to be plastic. Not that I'm against that, it just seems that not too many items are unique. Personally I would love to see more individual ideas on this topic. Madeline - This doll and her particular treasures are collector's items. They are only online minimally. To find info and items relating to her is a rare find and expensive. Perhaps two of the better places to search is EBay and Amazon. Modern - Listed many places online. All one has to do is type in the search term "modern dollhouse furniture" and you come up with a multitude of offers. Searching this topic brings up items of every price, shape and texture. Tomy - This is but another topic in the vintage category where EBay may be your biggest chance at getting any item. Someone cleaning out their garage may be just what you are looking for here. Handcrafted - Another scarce topic however they do exist online. You will have to do your research but you will find them. So press on, your efforts will be rewarded. Victorian - Many companies online sell these items. Amazon, EBay and leading Dollshouse Companies such as Dolls House Emporium. Wooden - One of my personal favorites are wooden furnishings of all types. What else makes your mini world that much more believable and realistic? This choice makes all your effort more captivating and rewarding. 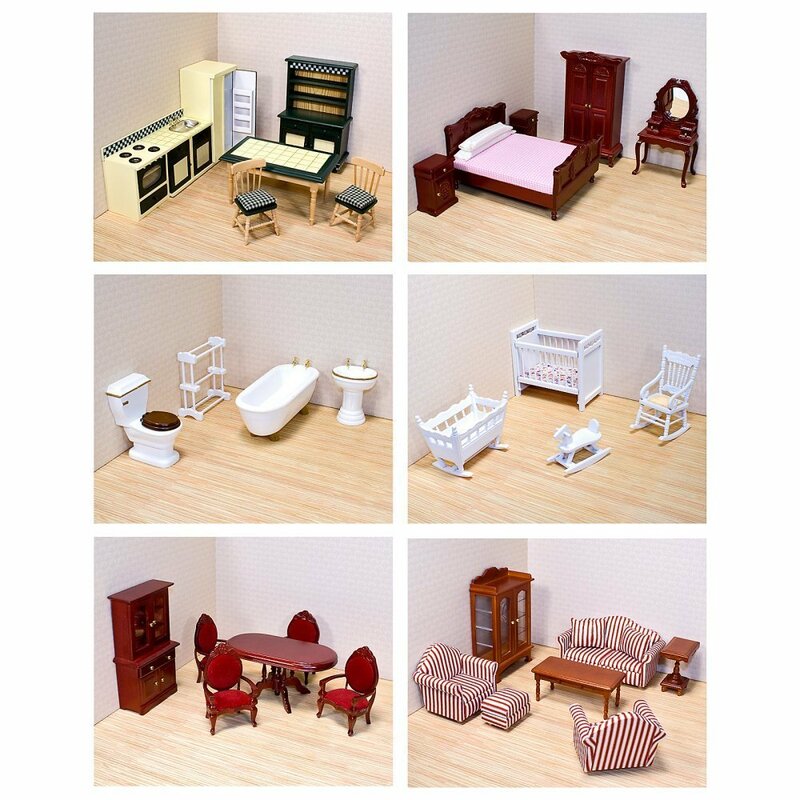 Doll House Furniture and accessories - The mini accessories are delightful as you place them with your furnishings. Easily found they do add character and charm. What else? They are the finishing touch to all your miniature efforts. Unfinished - Amazon has a nice assortment of unfinished mini items. But if you think about it any piece you want to give a different color or appearance to can be changed. Simply refinishing any piece can give your collection an added touch of interest. Britain is known worldwide for its emphasis on dollhouses, miniatures and everything in between for dollhouses. Stocked with many fairs and suppliers it is one of thee countries for miniaturists to visit and explore. Doing your own thing should always be something you aim for in each new project you undertake. 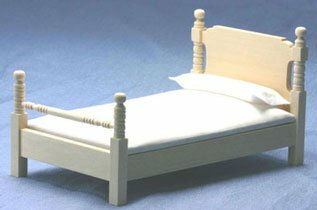 Making your own miniature furnishings is fun! It will be unique to your taste, your skill, your ability... You will succeed in your mini world quest as you stick with it. Always aim to finish well in your pursuit of great dollhouse furniture. 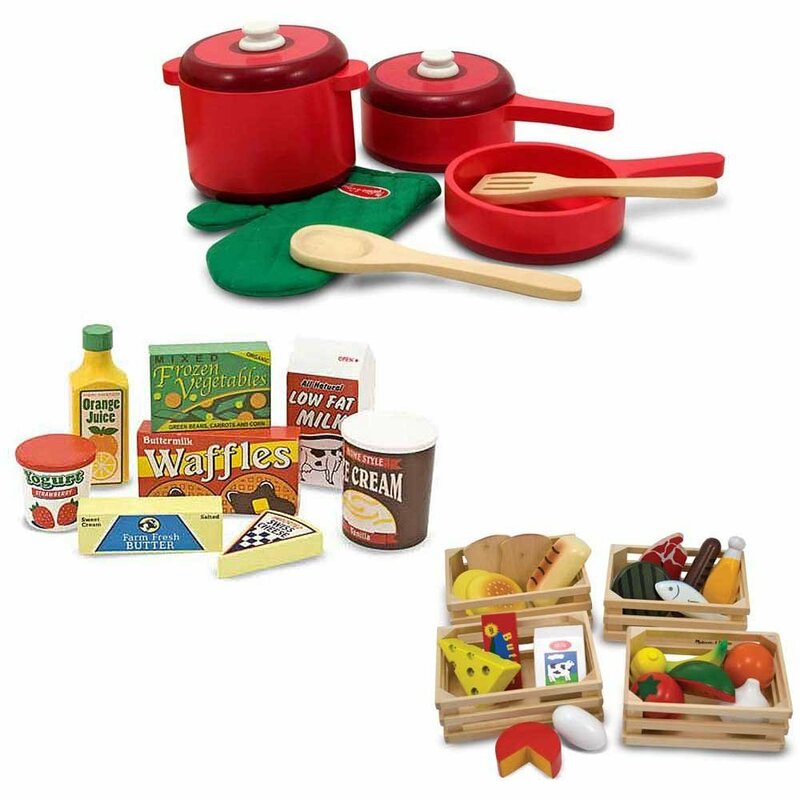 Purchase miniature household items from our Toy Shoppe Online now.